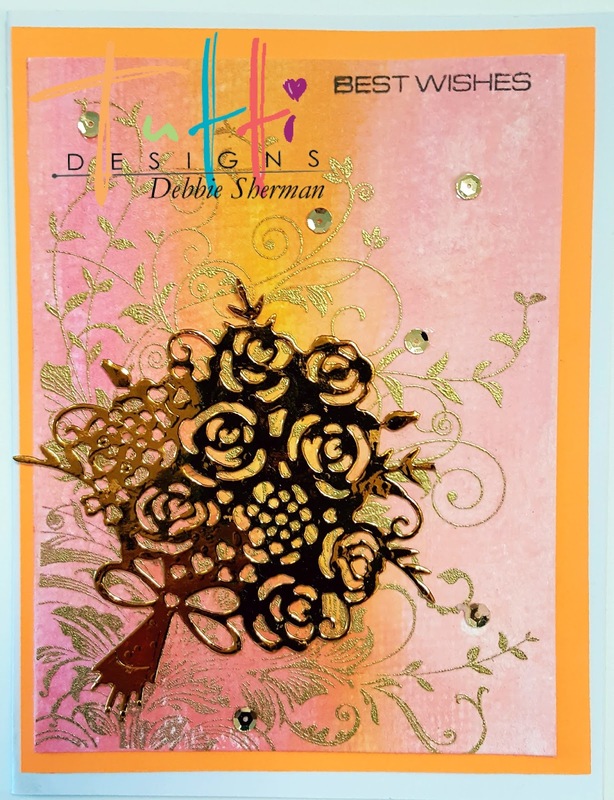 April release Wedding die releases! 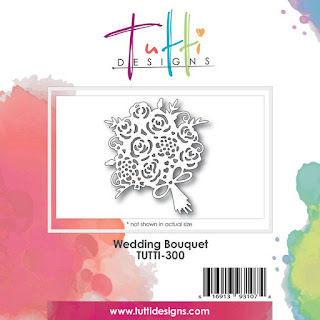 Weddings are year round and these dies will be some of the most used in your collection. 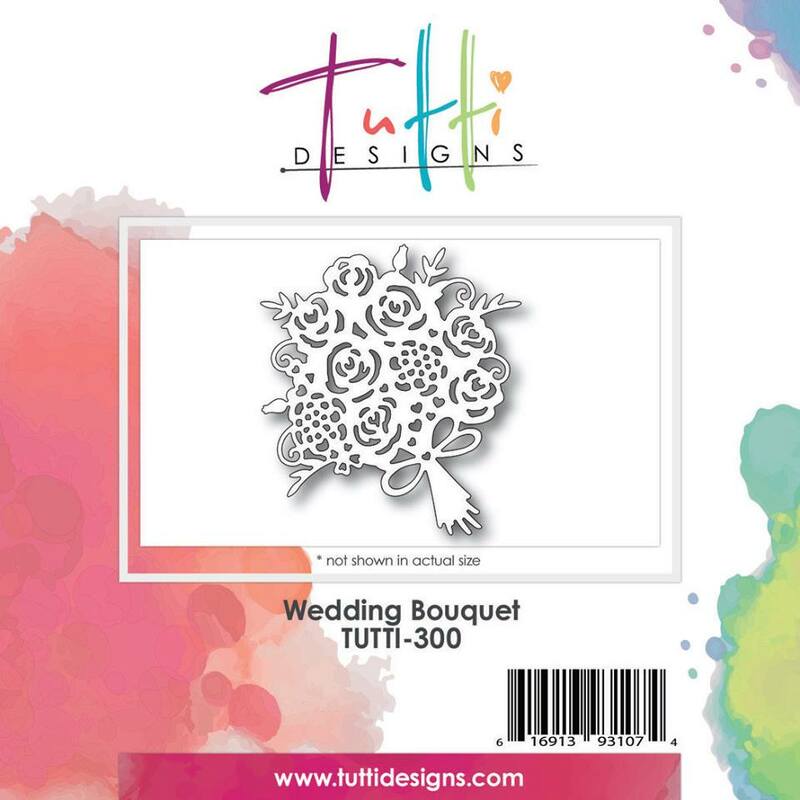 Tutti Designs has some of the best dies around so be sure to check them out in the store! I stamped the flourish image heat embossed the embossing powder and colored the background with Gelatos. 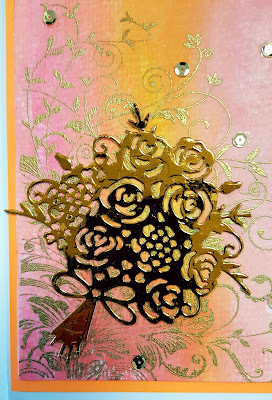 If you haven't played with Gelatos and watercolor paper, you should try! So much fun! 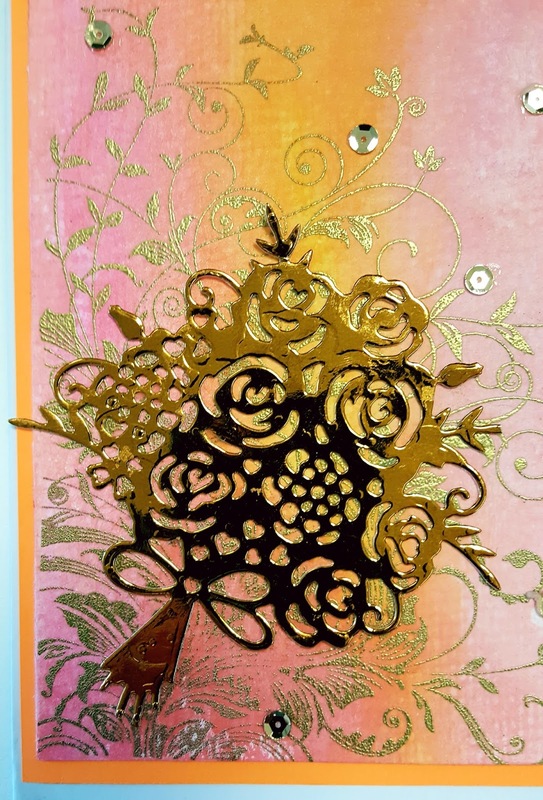 I simply die cut my Wedding Bouquet from gold foil card stock and then adhered it to the card.